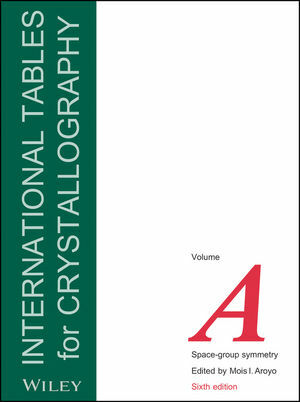 Volume A of the series, Space-group symmetry, contains diagrams and tables of data for the 17 plane groups, the 230 space groups and the 32 crystallographic point groups.This new edition is edited by M. I. Aroyo and has been extensively updated and revised. There are eight new chapters in this 6th edition of Volume A, and five chapters have been revised. The layout of the space-group tables has been simplified as the sub- and supergroup data are now available in Volume A1, and there are new general-position diagrams for the cubic space groups. Additional diagrams showing tilted, perspective views of some of the more complex cubic space groups are also provided. 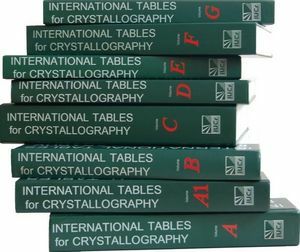 Mois I. Aroyo is the author of International Tables for Crystallography, 6th Edition, Volume A, Space-Group Symmetry, published by Wiley.